MOST local authorities are failing to keep pace with the population explosion in urban centres, hence their failure to provide adequate services such as water and sewer reticulation, Auditor- General Mildred Chiri noted in her 2017 report. Chiri said cities and towns such as Chinhoyi, Chegutu, Kariba and Kwekwe were struggling to pump enough water for use by residents because of lack of adequate infrastructure. 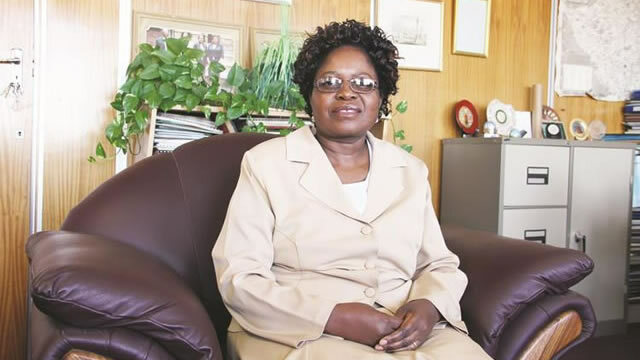 "Chinhoyi and Chegutu municipalities have seen a general increase in population size over the years, and the current daily demand for water has exceeded the local authorities' capacity to supply this need," Chiri said in her report. "Chinhoyi Municipality has a daily water supply of 15 mega litres against a demand of 30 mega litres, and Chegutu Municipality water reservoirs have a carrying capacity of 12, 5 mega litres in contrast to an expected 22, 5 mega litres." Chiri said the water level in Kariba Dam was dire to the extent that water has to be pumped 24 hours a day directly from the treatment plant to consumers, with power outages worsening the situation as it resulted in immediate water cut-offs. "Kwekwe City Council had 8 917 non-functional water meters against total connections of 19 030, and almost half of the city's residential areas had non-functional meters. Of Sanyati's 557 water connections, 199 meters were non-functional," she said. The report said some councils had outdated valuation rolls, which were no longer compatible with the current economic status, resulting in inappropriate rates being charged to residents, especially Kadoma City Council whose roll was last updated in 2003 and Karoi Town Council in 2001. Chitungwiza Municipality failed to remit $19 475 623 for NSSA, PAYE, VAT, medical aid and pensions for their employees, as well as other municipalities like Marondera ($9 771 162), Kariba ($4 883 290), Kadoma City Council ($4 640 171) and Karoi Town Council ($1 508 922). For Harare City Council, Chiri noted that traffic management system was not working. "Management said the central controller was last used in 2006 when it stopped functioning, and in addition management further represented that out of a total of 195 traffic intersections, 18 had traffic controllers which needed replacement and 127 did not have traffic controllers," she said.